Investment by Britain’s manufacturers has seen a reality check in response to the continued political uncertainty according to a major study published today by EEF, the manufacturers’ organisation and Santander. According to the EEF/Santander Annual Investment Monitor, while demand conditions should be spurring on investment just one third of companies say that Brexit has had no impact on their plans. A similar proportion are only investing to satisfy current plans and waiting for clarity on any deal before investing further, while at the other end of the spectrum thirteen per cent of companies are holding off investment altogether until there is further clarity on a Brexit deal. It’s not all bad news though as 51% of respondents intend to spend more on plant and machinery over the coming two years. Investment plans however, are finely balanced in the sector, as the other 49% say Brexit uncertainty is holding back plans. This indicates that while manufacturers may be investing to satisfy current plans or, expand capacity, they are not investing in improving their production capacity. 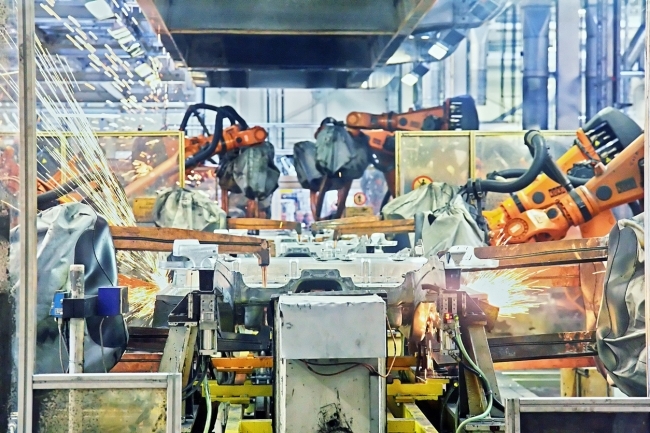 The survey’s spotlight on investment in automation shows that industry is making only slow progress on automating manufacturing processes, with industry being held back not just by caution but also by challenges from the cost of technology, uncertainty about returns and the capability to successfully implement change. In response, EEF considers that boosting investment and productivity should be at the forefront in the forthcoming Budget statement. Commenting, Lee Hopley, Chief Economist at EEF said: “Manufacturers have navigated a panoply of demand-related challenges in recent years, which have taken a toll on the sector’s appetite and ability to invest. With global demand on the up conditions should be ripe for industry to make new investments in capacity and productivity enhancing technology. But Brexit means the future outlook for investment is not clear cut. 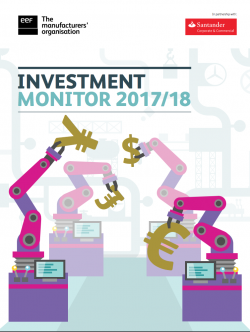 Paul Brooks, Head of Manufacturing, Santander, added: “While the Monitor shows that investment by UK manufacturers is down on last year, it is encouraging to see that just over half of manufacturers intend to spend more over the coming two years. The Monitor shows that uncertainty surrounding the Brexit negotiations has impacted some firms’ investment decisions, despite this, 51.5% of businesses responded that they are either increasing investment due to Brexit opportunities or that Brexit has had no impact on their investment plans.